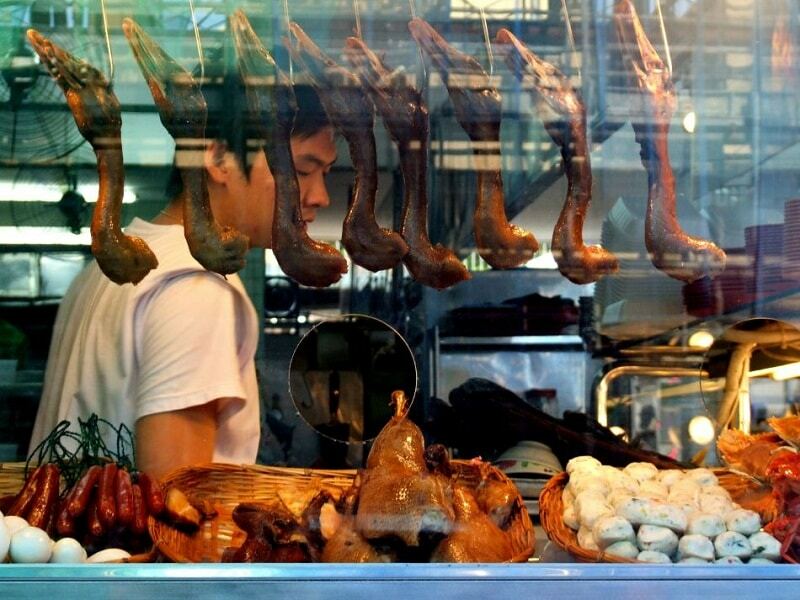 An Asian getaway to visit Singapore, the “garden city”? Here are the best areas to stay in Singapore! A Southeast Asian city-state, Singapore is a republic extending over an archipelago of 63 islands with a total area of 719 km². 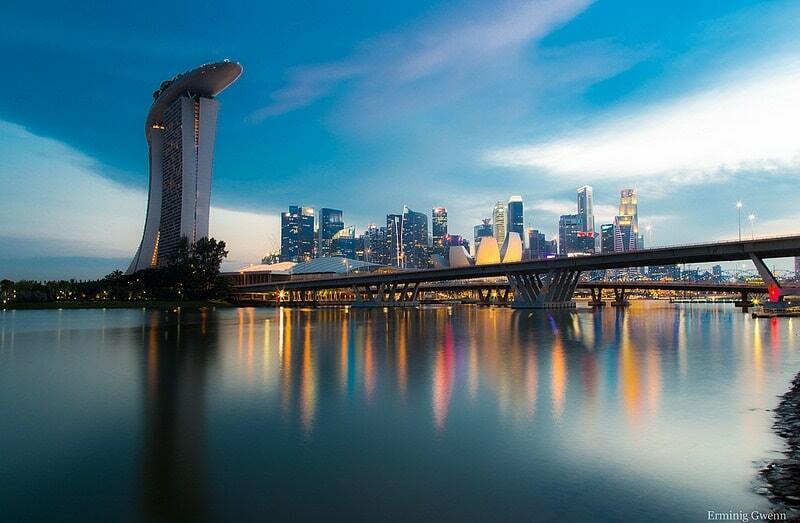 With a population of 5,535,000, it can be difficult to find accommodation locally, especially as Singapore holds the top spot on the podium of the world’s most expensive cities. 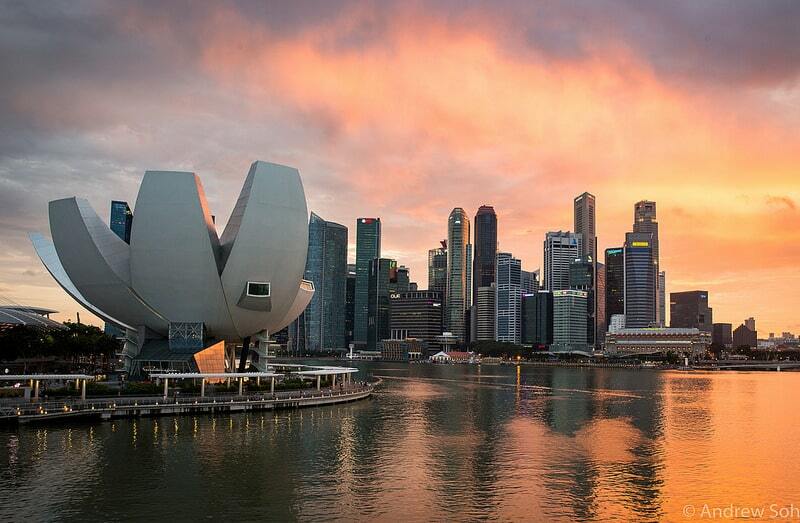 Having forged its global reputation on its economic prosperity, Singapore has one of the highest standards of living on the planet. Located in the south of Pulau Ujong Island, Singapore is very densely populated, yet the lush equatorial vegetation and the many parks and botanical gardens that dot the city are like little havens of peace in the middle of the megalopolis. Here’s a mini-guide to help you decide where to stay in Singapore. No waste, no graffitis, no chewing gums: the cleanliness of the streets of Singapore will surprise you. Yet Singapore has more to offer than just the sparkling facades and the beautiful sidewalks: the city-state is a melting-pot of Chinese, Malaysian, Indian, and Western cultures that blend in a wealth of cuisine, music, and fashion. If you only stay a few nights, staying in in the center of Singapore is definitely your most convenient option. Close to the center, it will be hard to miss the Marina Bay Sands hotel, whose iconic silhouette has become a symbol of the city-state. It includes a world-famous infinity pool, a 24/7 casino and a luxurious shopping center. Little India is a neighbourhood described as a world apart. Located in the south of Singapore, near Kallang, Little India is home to the exotic, non-westernised Singapore, home to the Indian community. Saris, curry aromas, fabric stores, flower stalls, and spice shops punctuate the shopping life of the neighbourhood. 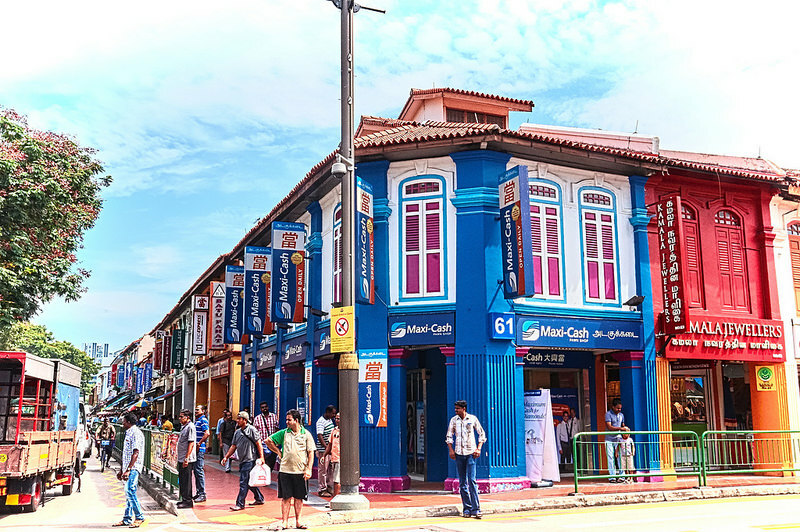 An inexpensive area served by the Mass Rapid Transit (MRT), Little India is a colourful quarter filled with olden-day colonial buildings daubed with bright hues including ochres, yellows, blues, reds and greens. Travelling on a limited budget? Choose this area to stay in Singapore: you will find cheap dormitory options in youth hostels… or even a capsule! Chinatown is the largest neighbourhood in Singapore. Home to a Buddhist temple, a Hindu temple – Sri Mariamman – and the mosque, the area offers a genuine mix of religions and cultures, and is therefore very cosmopolitan. 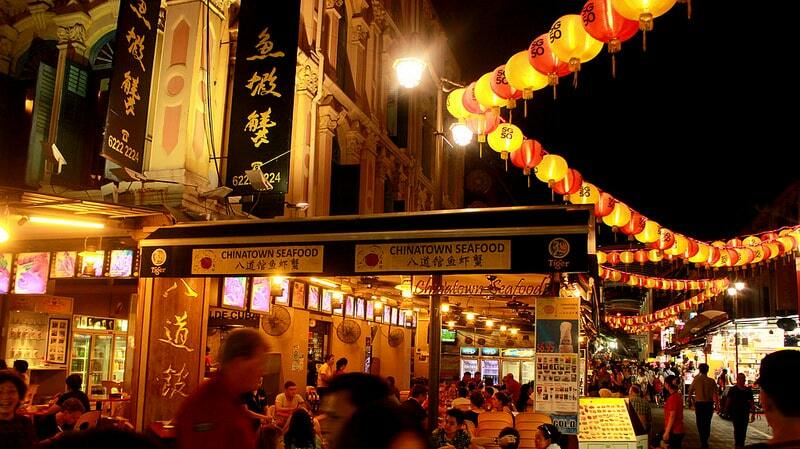 Chinatown’s nightlife is very lively, especially on Duxton Hill and Club Street. To meet Singapore’s locals, there is no better way than to go out in Chinatown: the area houses a myriad of trendy bars and great restaurants. Located south of the city center, Geylang is the favourite district of the French: lively and vibrant, the area is particularly favoured for flat-sharing – a good option if you stay for a while – and if you want to stay in Singapore without being troubled by the language barrier. In Asia, you don’t have to worry about having to cook food: the district of Geylang features an array of food courts where you can eat for cheap. Holland Village is the island’s historic district of the island, popular with both locals and expatriates. Singapore’s hip and bohemian neighbourhood, Holland Village is packed with an ample supply of accommodation, from houses to hotels, as well as apartments and hostels. Nearby, the Botanical Garden – listed as UNESCO World Heritage -, offers pleasant walks. You’ll find many cool cafes and restaurants adjacent to this central and multicultural district, though British colonisation remains, alas, still visible, especially in architecture. An yet it’s an ideal area to stay in Singapore, especially if you’re looking to stay in a village-like atmosphere. 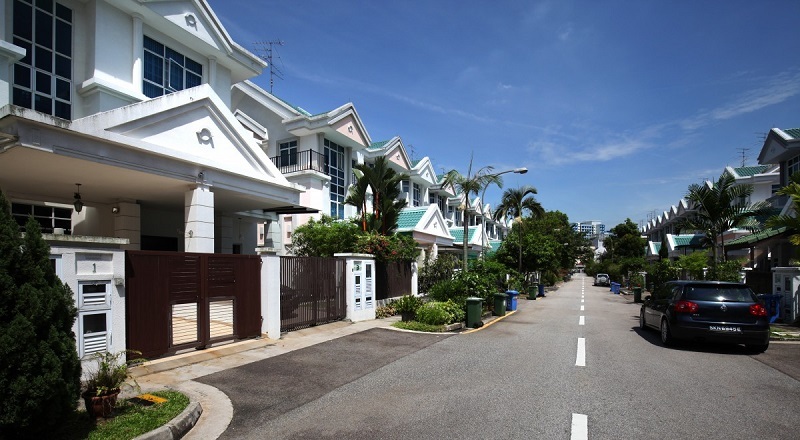 Further north of the city center is one of the French expatriates’ most favorite district: Serangoon. Singapore is home to the largest French community in Asia. This is where they choose to live since the are houses Singapore’s French high-school. However, it’s a rather expensive neighbourhood to stay in Singapore.